The girls’ event will feature three Louisiana state champions in Mount Carmel (Class 5A), Ursuline (Class 4A0 and Jewel Sumner (Class 3A), as well as the Class 2A runner-up in Madison Prep and six other state semifinalists or quarterfinalists. On the boys’ side three Louisiana semifinalists, Riverside (Class 2A runner-up), Metairie Park Country Day (Class 2A) and Edna Karr (Class 4A) will be joined by Texas Class 4A state champ Westbury Christian and other top-notch competition. Riverside Academy won its third championship in six years at the Allstate Sugar Bowl’s sixth annual National Prep Basketball Classic in 2016. Mount Carmel Academy won the girls’ platinum bracket while Jewell Sumner captured the title in the girls’ gold bracket. A furious comeback led Riverside to its 60-57 victory over Edna Karr in the boys’ event. Karr had built a 49-42 advantage with 4:06 to play, however, Riverside came to life behind the efforts of Jared Butler, who earned tournament MVP honors. Butler scored 11 fourth-quarter three-pointers including three three-pointers as he finished the game with 20 points. The girls’ Platinum championship also featured a come-from-behind win as Mount Carmel trailed Easton, 30-18, late in the first half. However, the Cubs rallied, putting together a crippling 24-2 run over the next 14:45 of the game. Megan Donaldson led Mount Carmel with 12 points while freshman Ellie Holzman added 11 points and Lauren Bodino chipped in with 10. Kechelle Figueroa led Easton with 18 points. In the Girls’ Gold Bracket title game, undefeated Jewell Sumner improved to 20-0 on the season with a wire-to-wire 54-40 victory over Covington. Bre’Ashlee Jones led the Cowgirls with 26 points, even rebounds and four assist as she was named the tournament MVP for her bracket. 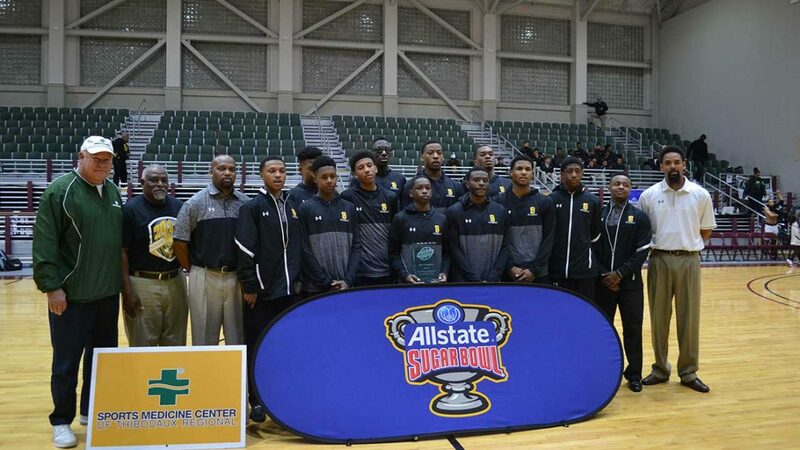 A furious comeback by Riverside Academy led the Rebels to a 60-57 victory over Edna Karr to win their third championship at the Allstate Sugar Bowl National Prep Basketball Classic. In addition to Riverside winning the boys' title, Mount Carmel captured the girls' championship (Platinum Bracket) with a 46-37 victory over defending Class 4A state champion Warren Easton. Jewell Sumner won the girl's Gold Bracket with a 54-40 victory over Covington. The Allstate Sugar Bowl National Prep Basketball Classic had the dream match-up for both its boys' and girls' championship games on Saturday evening at the Alario Center. In the boys' title match, two-time defending national champion Montverde Academy from Florida defeated two-time defending tournament champion Riverside Academy, 92-75. 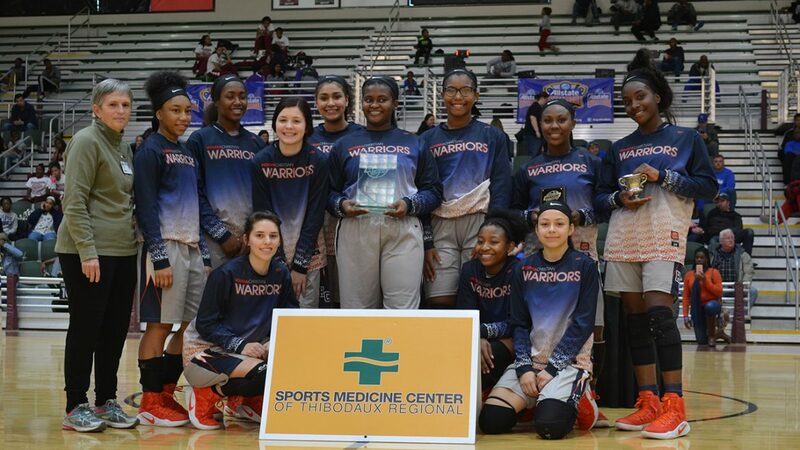 Defending girls' champion Salmen High School from Slidell, La., earned its second title by delivering the first loss of the season to a strong Warren Easton High squad, 56-44. 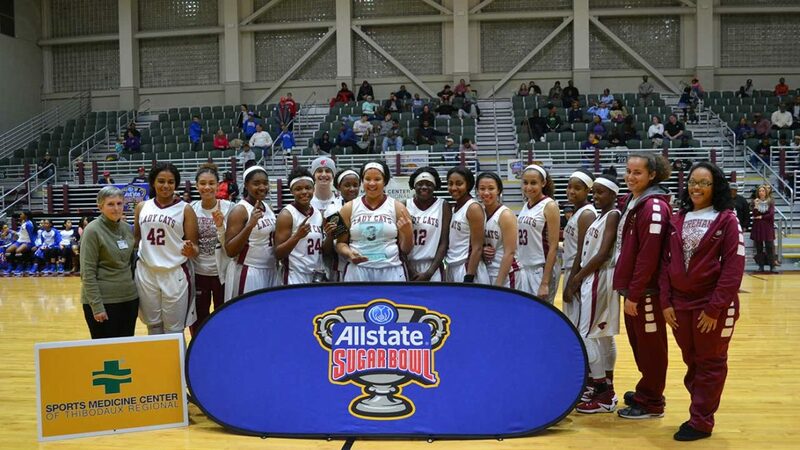 Riverside Academy of Reserve, La., successfully defended its Allstate Sugar Bowl National Prep Classic title as it defeated University High from Baton Rouge, 57-54, on Saturday night at the Alario Center in the fourth annual tournament. On the women's side, Salmen High, from Slidell, La., avenged its only loss from earlier this season by pulling away from John Curtis of River Ridge, La., 49-32. Charvon Julien scored 22 points and handed out five assists as Riverside Academy, of Reserve, La., upset Sheldon High School from Sacramento, Calif., 72-65, to win the boys' title in the third annual Allstate Sugar Bowl National Prep Classic. Julien earned tournament Most Valuable Player honors. The three-day event was contested at the Alario Center in Westwego. Douglass High from Oklahoma City, led by tournament MVP Stephen Clark, defeated O.P. Walker High, 68-60, to win the Allstate Sugar Bowl's National Prep Classic basketball tournament on Saturday evening at the Alario Center. Riverside Academy defeated John Curtis Christian School, 69-51, to earn third-place in the event. 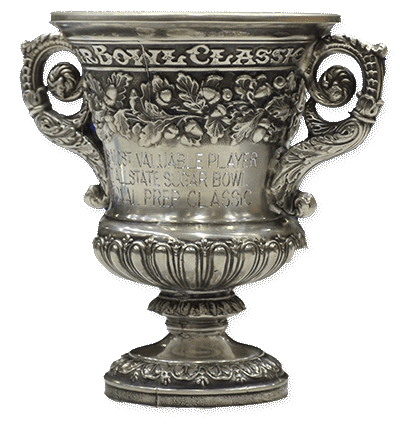 The Kimball Knights of Dallas took down the hometown Riverside Rebels, 61-58, to win the inaugural Allstate Sugar Bowl National Prep Classic at the Pontchartrain Center in Kenner. Riverside's Ricardo Gathers was chosen as the tournament's MVP by unanimous vote by the media covering the 3-day event.